Let's get one thing straight. I do NOT do yoga. I mean, I have done yoga but the event I was invited to this past Thursday was probably only my third time going to a yoga class in my life. I definitely may be newly reformed. Something about being on that rooftop, at dusk, with the sounds of bustling high street underneath us.... it was just so calming and peaceful. As a mother and wife it can be so hard to find time for yourself. I mean, it can actually be completely impossible. It's never easy to navigate the dance of asking for a night off from putting the three children to bed, but it is really necessary every once in a while. By inviting me to this event, Bexley Yoga and Columbus Stories gave me more than a night out. I was physically able to relieve some physical stress in my body and also calm my mind. The whole experience was perfectly peaceful and that is a hard thing to come by when you are used to the sound of screaming toddlers. Side note, there were some really cool vendors at the event that you should know about. Follow along for travel tips and general inspiration as the kids and I traipse through Columbus, travel throughout the U.S., and (fingers crossed) out of the country. Does it seem impossible? It's not. Where to go. What to do. Where to eat with your brood! 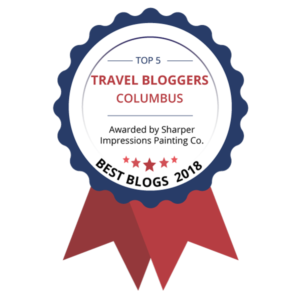 Follow along for travel tips and general inspiration as we traipse through Columbus, travel throughout the U.S., and (fingers crossed) out of the country. Does it seem impossible? It's not. Sign up with your email address to get the latest blog post delivered to your inbox! And be the first to know about upcoming giveaways. Copyright 2016 - Diaper Bag Diaries - All Rights Reserved.